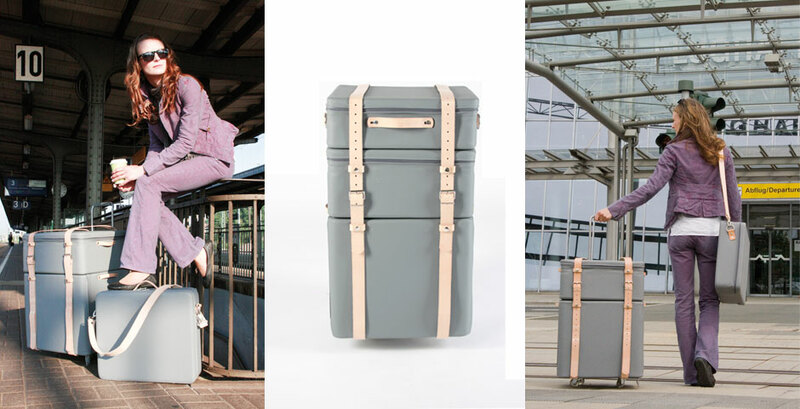 Seth is a travel trunk made for jobnomads and long-term travellers. Referring to the impact of globalisation and mobility I‘ve asked myself ‚Is it possible to mobilise home?‘ as the task for my diploma thesis. The integrity of our own identity is essential to feel home in new places. 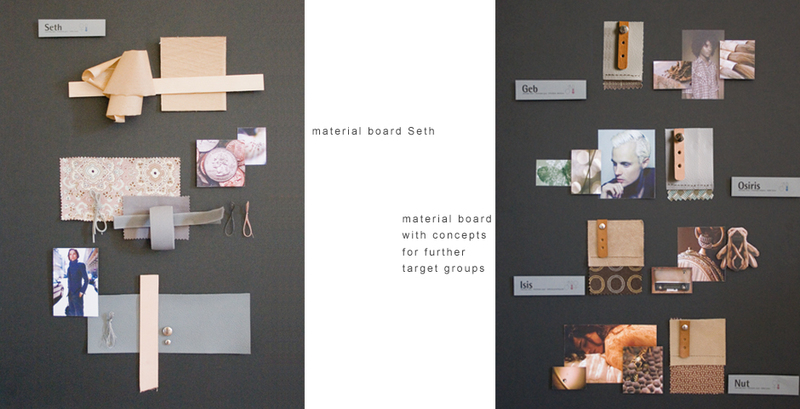 Therefore Seth offers three modules: one cabin luggage for useful as well as technical items, one for very personal items and one for clothing. 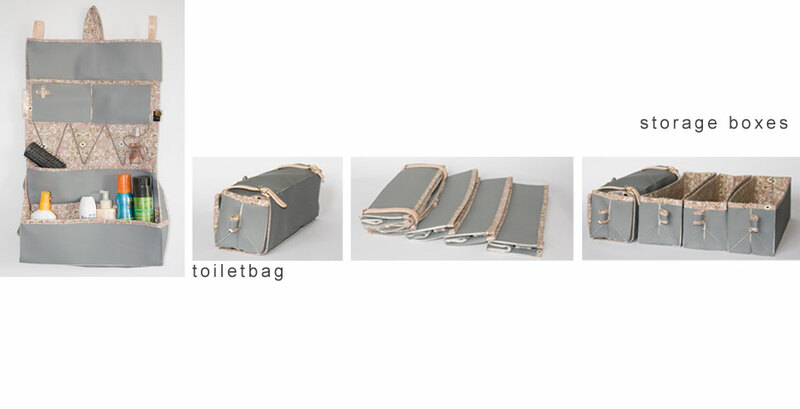 Three foldable storage boxes and a toilet bag are integrated. 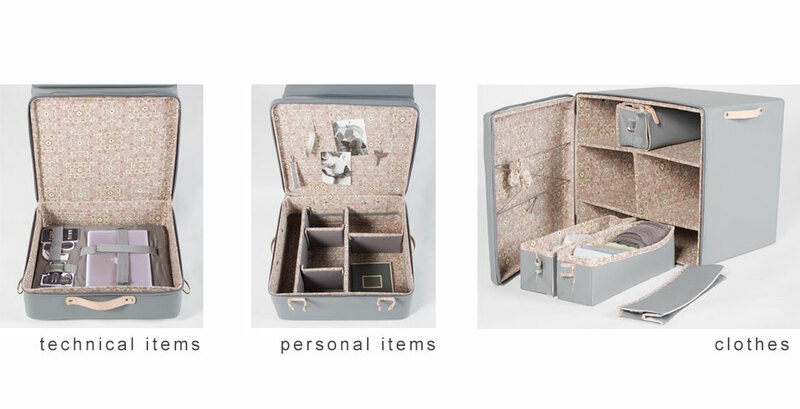 Each module is useable as a storage unit, because all separate systems are as well as variable and removable.